One month had passed, so it’s Genjitsu Week again! Also, in case you don’t know. My RL imouto just gave birth to my male niece (the first grandson of my parents) via a sectio caesarea (due to multiple conditions that made it dangerous to give birth normally). Still Yippee‼! Her son name is rather long (I pity him when he need to fill the circles for his name in the answer sheet), but in a rather coincidental weeabo way, his nickname is Rayden which is close to ⚡ (雷電) ⚡. Since the resultant cost for the hospitalization is kinda high…… It result in a situation where I was the one who need to pay the house mortgage (usually paid by my imouto even when she lived in her husband house), where normally, I only need to pay for the utilities and groceries. Luckily, I still got my savings to cover the mortgage until December… How will I pay for the January and the rest is still kinda sketchy, but I need to take more work schedules starting from next month to earn more money…… Just preliminary announcement just in case I became too busy! ……standing beside the nice looking middle-aged guy talking nonstop while putting up a forced smile. The middle-age guy’s name is Moltov Juniro: one of the ten influential nobles in this country, the head of the Juniro House. At that time, I was invited to the influential nobles’ banquet almost every day. Because amongst the nobles in this country, there was a custom where they would hold a banquet from the second third to the last third of the 12th Month and invite their friends to thank them for their fellowship for the year and to wish that their fellowship would be unchanged for the following year as well. Well, in other words, an “Year’s End Party”. Then, the “number” and “rank” of the guests that they invited would become the barometer for the influence of the noble that held the banquet. Because of that, the nobles invited as many as people as possible and as higher “ranking” people as they could. Then, who is the person with the highest rank in this country…… The answer is none other than me: The King. Of course, even if they wanted to invite me, the half-hearted nobles, without any particularly close relationship to royalty, couldn’t just invite the King. Personally, I was not good at these kinds of parties. Usually, even if I received an invitation, I would reject it with the pretext of being busy. So the people whose banquets I could not refuse to participate in were the nobles above the half-baked ones. Even though they didn’t reach Excel’s level, they were still influential nobles. It was difficult to refuse the invitations of these nobles. It was a superior’s duty to foster amicable friendship with his subordinates. Although, usually I would have rejected this with some kind of pretext, even Hakuya said, 「Please participate in the Yea’s End Banquet.」 , so it was difficult for me to refuse. Because of that reason, for the last few days, I had been going to the influential nobles’ banquets day after day. If I was asked about which point that I disliked about banquets, then it would be the need to listen endlessly to the long chatter from the hosting noble in the name of so-called “hospitality”. Even when the splendorous food was lined up on the table, there was no time for me to eat or drink any. Furthermore, each and every nobles talked about the same things. First, boasting about their territory’s management. This was mostly because of my assessment policy for the nobles, including the territory’s financial situation. Most of the nobles would emphasize that there was no problem in managing their territory, while the shrewd nobles would take this chance to emphasize in all the ways that their territory management was amazing. Since the auditor sent to their territory for the assessment would also include the opinion of the population and other points, no matter much they appealed to me at the banquets, there wouldn’t be any meaning to it. Even so, there are people who thought, if there is a chance, seize it, even if the effect is just a little. By believing that it would please the King, they made the population’s livelihood became easier, which might be a good thing in it of itself. However, if I need to listen to the same story each time I attend a banquet, as expected, I just got fed up with it. My partner for today, Aisha, said this in low voice. She was wearing a bright red dress, similar to what she wore when we hosted the music program in Amidonia. She might have been doing this out of concern, guessing that I was tired. “Yes, please. My throat is thirsty”, I said and so, Aisha silently left. The moment Aisha parted from my side, the ambience of Moltov, who had been talking loquaciously, changed. It was as if a snake that had found its prey, his eyes were blazing. At that moment, I remembered, 「Ah……」. This pattern, I had experienced it several times already. The moment when the Queen Consort Candidate moved from the King, it was their Prime Time. While saying this, Moltov took my hand and semi-forcefully guide me away. Ah…… I had no doubt that it was that pattern. For them, it might be a Prime Time, but for me it’s the Bed of Thorns Time…… While I was thinking this, just like I had thought, on a place we had moved to, a girl was waiting there. Her age was about 16. At a glance, she gave off an air of a secluded noble lady, a sweet lovely girl. While saying this, Siena raised the hem of her skirt and made a bow…… As I had expected. For them, this might be a Prime Time, the time to introduce their female relative to me. In every era, the nobles yearned to become a relative of the Royal Family. If they became a Queen, then that House would achieve peace and, depending on the circumstances, they might even bear a heir. Additionally, my fiancées were only three in number (Juna-san hadn’t been officially announced as one, yet). This number, excluding the previous King Albert’s unique case (he married into the Queen’s family), was too few for a King. Because of that, every noble was frantically trying to promote their female relatives to me. As expected, when my fiancée candidate was beside me, they couldn’t mention it, but even if Liscia or Roroa had came with me, the nobles would surely find a chance and create an opportunity like this. What I felt towards the noble’s skill had long passed disgust and became admiration instead. Siena calmly smile. What a pure-type girl. In this kind of situation, her type was the most difficult one to handle. If the other side was someone with a visible greed for money and social status, then I won’t feel bad about ignoring them, but a pure person emanating goodwill like her was difficult to refuse. It was hard to see if the girl was aware of this being a marriage interview. Well, leaving aside whether or not the girl had such thoughts, her parent was certainly aiming for “that”. Moltov made Siena move away a bit and then spoke to me. Moltov kept showering me with words like a machine gun. Ah, geez, it’s really troublesome…… Aisha, please come back soon, please find me. Just as I was thinking such thoughts. Suddenly from the hall, there was a sultry passionate laugh. I looked towards the side and the calm face of the daughter that Moltov had recommended to me not long ago, suddenly changed into a sour expression as if a small bone had been lodged in her throat as she stared at the balcony of the atrium-like banquet hall. I followed her stare and there was a fool…… Er, rather, someone standing on the handrail of the balcony. Behind the young man, there was a big explosion. The flame burst up. From the interiorm there was an exploding sound. For a moment, I was panicked, wondering whether or not this was a terrorist act, but the surrounding guests for some reason only smiled wryly. Eh, what? What kind of situation is this? Aisha finally discovered me and ran towards my direction. I looked at my surrounding and there were no panicked people. Most of them only made a wry smile or a sneer while looking at that young man. When I took a second look, the explosion behind the young man had already disappeared and even though there was fire that big, there was not a single trace of burn marks. I looked back at Siena who made a troubled smile. She finished her words by saying that he is cool…… This girl, in some sense, she might be a great human being. But I see, the people that were invited to this place were the ones that had close relationship with Juniro House. Of course, they should have know about this strange son. That’s why even when explosion happened, they were only smiling wryly. Then, Moltov yelled out angrily. Ivan made a pose and this time there was lightning thundering behind him. The moment he said this, Ivan’s eyes burned up. Literally, the eyes were spouting out fire…… What is this. It has become slightly entertaining. However, Moltov was enraged. Both of them clashed their gazes and sparks flew out, between them, dark clouds started to gather and lightning thundered down right towards the center. This was not a poetic allegory, but something that really happened. Even so, the damage was zero. Watching this was really interesting. I asked Siena who was beside me. During that time, both of them gradually heated up. As a warrior, Aisha who had a kinetic vision, saw everything in the fight and then spoke up. When I heard her words, I calmed myself down a bit. Then after five minutes, at the same time, Moltov and Ivan fell face up on the spot. Well, they might looked exhausted like that, but they were only lightly pounding on and missing each other, so to make a scene that is similar to the 『fellow rivals talking after exchanging fists』 act was bothering me a bit…… Well, whatever. In any case, I walked towards the collapsed Moltov. Both Moltov and Ivan were blinking their eyes from surprise . Liscia rolled her eyes at me. A Realist Producer’s Tokusatsu Reform. モルトフ＝ジュニーロ. Morutofu Juniiro. Morutofu is just one character away from morotofu: Molotov. Tail and fins = a Japanese idiom which means embelisshment or exagerration. Hahaha.... if he made a sentai/chuunin pose it would be perfect. Sibling's son = nephew, sibling's daughter = niece. No such thing as a male niece. Also my default mode is daughter not son. 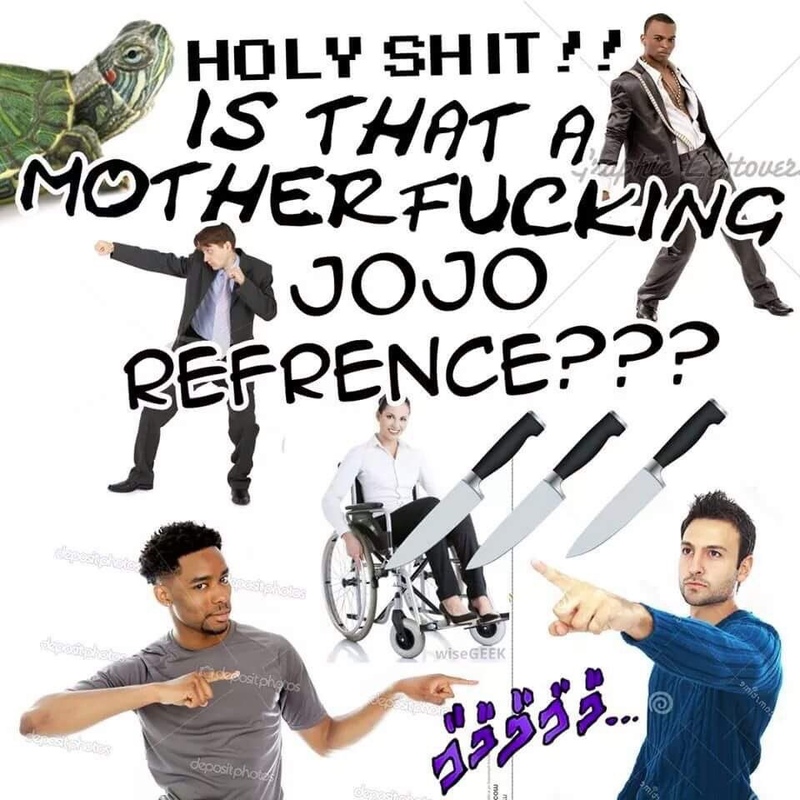 so they fight with stand? Finally a new chapter.... Big thanks. This is my 3rd favourite novel(MKnR,TDG) in the long list of reading list in novelupdates. 4th is Top management. Since MKnR is licenced and TDG 1/month i have to wait for its new chapter. Because of this novel i became the fan of THE PRINCE. He should be your "nephew". Not "niece". "So you picked yet another strange person…" counter to that is "you just admitted that you are strange"
Even so, everyone in the novel is a bit strange, HECK everyone in the world is strange! I foresee Souma making Ivan to become the first Kamen Rider / Power Ranger for entertainment. This is also good for the merchant in his kingdom to boost the economy too. Thanks for this chapter e congratulations for your nephew .. Somehow I feel really sorry for Liscia . . . Someone whose power is SFX. Just need four more for a full team. The old man is too old. Though if it's hereditary, I wonder if the daughter has it too. Siena seemed like she already knew about the marriage interview thing, fooled Souma with her act and expected her brother to come and "save" her, lol. I think this is the only novel using power of entertainment to conquering the world where magic and sword should be superior. What? nii-san, you actually live in the real life? And even working normally? Even though I believe in you so I didn't want to workkk. How Iam suppose to do now, please reply. If not, then I will charge 40$ for each chapter. To get me the 600$ my family and I need to survive a month. But, then what about determination, motivation, and ambition of mine to become a NEET. I have trained myself to become a full-edged NEET. Believing someday I will become a NEET like nii-san and the others did. Reality is cruel young padawan. "My name is Siena Juniclo." Not Juniro? Also, maybe this will pique your interest - in Russian there is a word "показуха", which is very similar in both as sounding and as meaning with mentioned by you "Pokasuka", although it has a different etymology. It's deliberate. I was trying to catch sites who copied translation from my blog. I will fix it after 1 week, and see which aggregator sites updates their my translation. Great work ang amazing history!! !many greetings from Colombia! This novel is so fun to read !